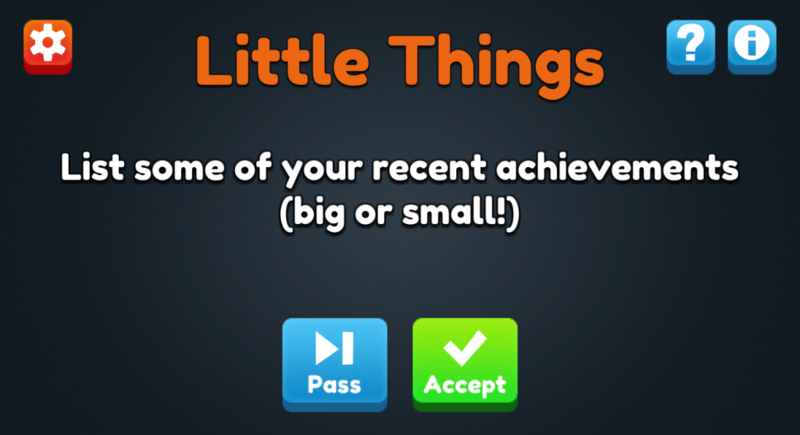 Earlier this year, when I was starting to think seriously about my mental health and began to seek treatment for Generalised Anxiety Disorder, I decided to start working on a series of apps and games I thought might help me out. Some time later than originally planned, I’ve finally finished the first one! 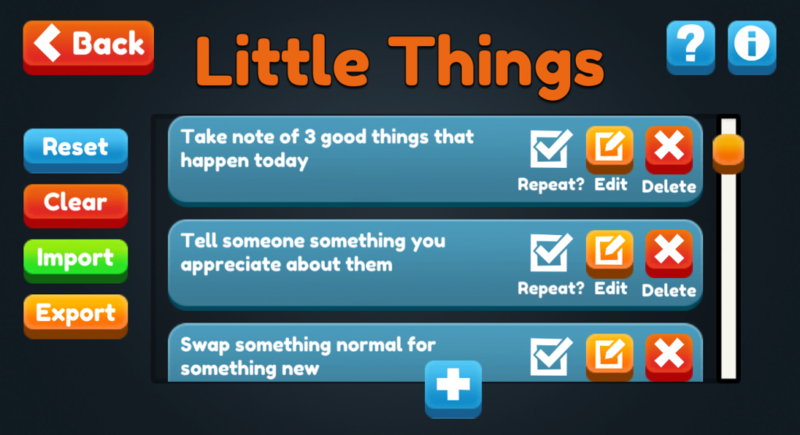 It’s called Little Things, and it’s designed to help you allocate little bits of time for yourself and others. I tend to stress about time-use and often convince myself I just don’t have time to do things like watch a video someone’s sent me, go for a spontaneous trip outside or even sort through and close the tabs open in my browser! 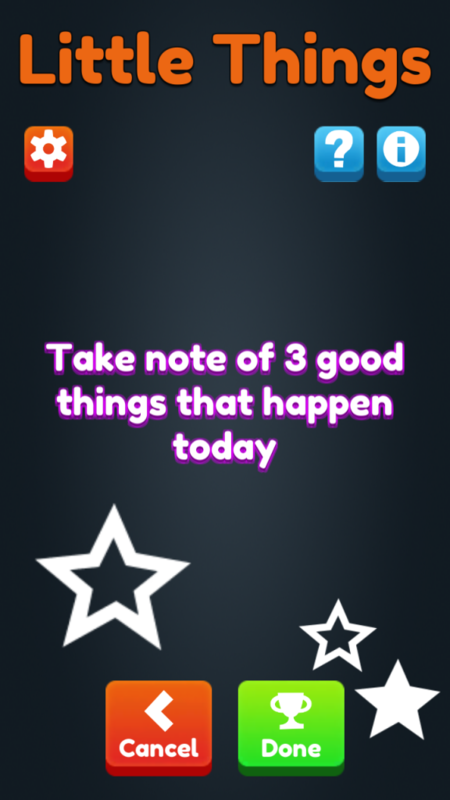 The idea behind the app is that you give it a list of activities you don’t let yourself allocate time for, and then each morning it suggests one little thing that you might like to do that day. It’s a small app but I’m proud of sticking with it and it’s already proved itself useful to me! 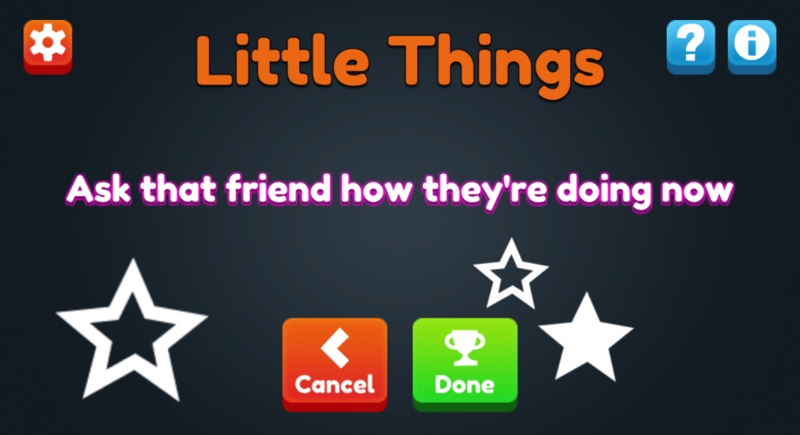 I have lots of ideas for other helpful apps and games which this whole process has been a little test run for – hence using Unity and uploading the app to itch! 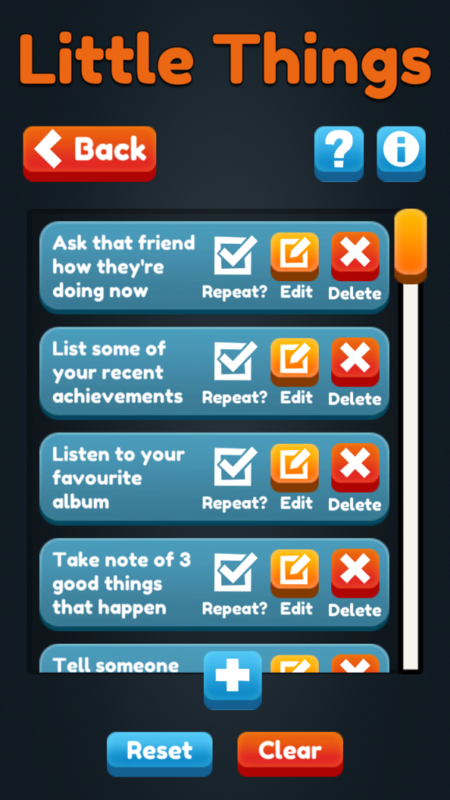 Next, I’m going to focus on the idea I think will be most immediately useful to me – a friendly to do list! It’ll present tasks in a way which focuses on how I feel while doing them rather than getting as much done as possible. Thanks for reading! I hope to blog more soon about my mental health developments and share some of the wonderful resources I’ve been recommended, inside and outside of video games!